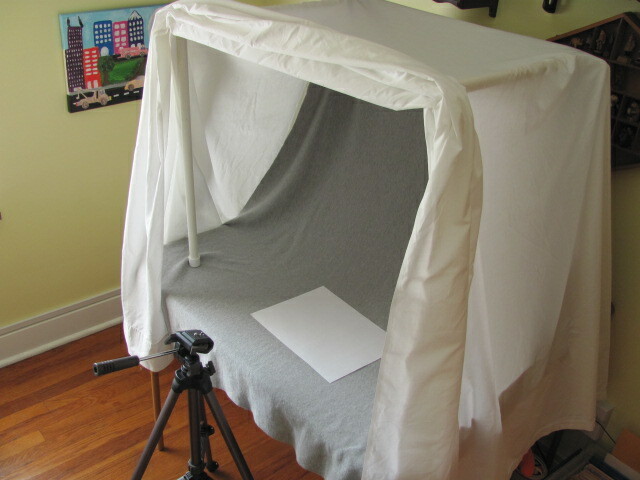 I take my own pictures so I would like to share my method. I use a photography tent for smaller carvings. With this method I can control the lighting and shadows to the best advantage. You can make your tent any size but I’ll give you the sizes for mine. 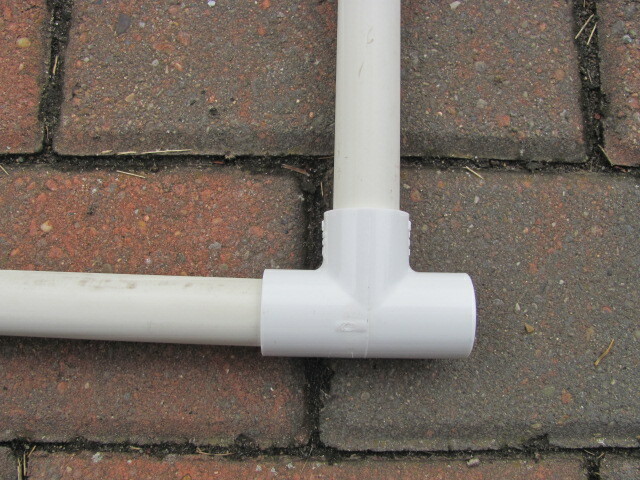 Begin by buying 1/2 inch PVC pipe and fittings in the following list. 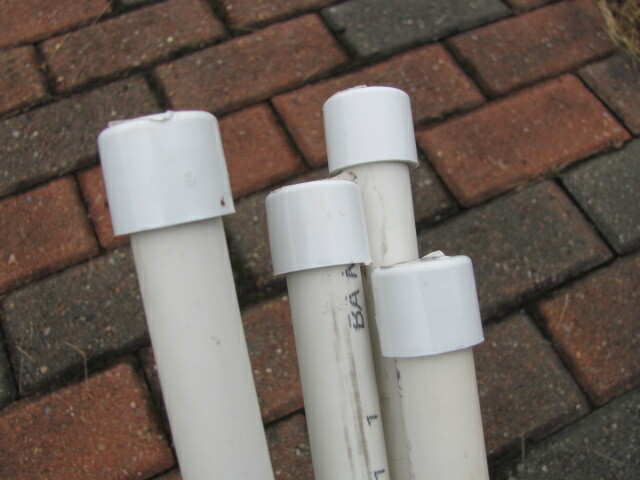 4 “T” joints, 4 elbows, 4 caps as well as pipe to be cut into pieces. You will need 2 pieces 19 3/8 inches long. Also 2 pieces 21 3/8 inches long. These 4 pieces and the “T”s will make a frame. Four pieces 23 inches long will be used for the legs. 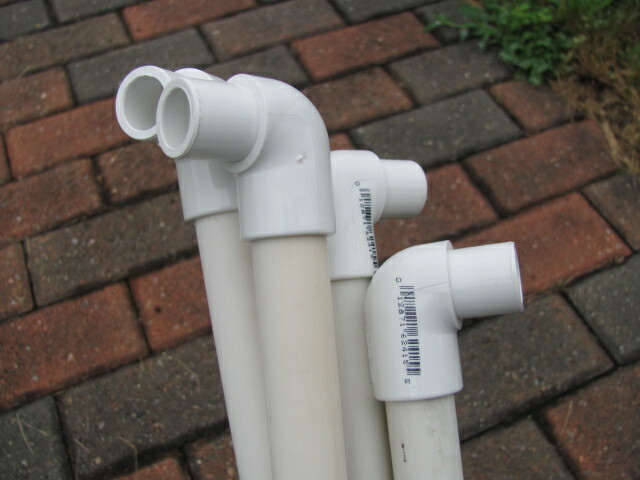 One end of the 19 3/8 inch pipe pieces. 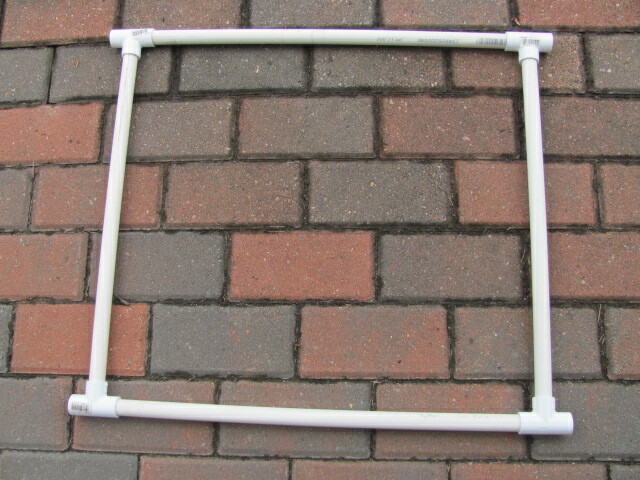 Corner formed by 19 3/8 and 21 3/8 pieces. 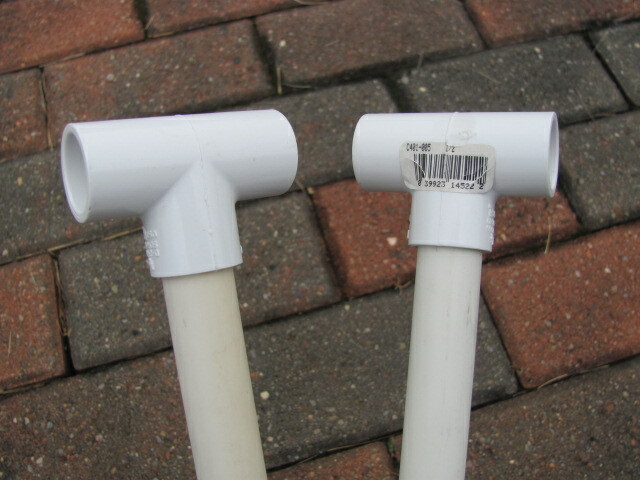 The legs are created by adding an elbow and a cap onto each of four 23 inch pipe pieces. Elbows on 23 inch legs. Caps on opposite ends of elbows of leg pieces. One leg attached to frame assembly. 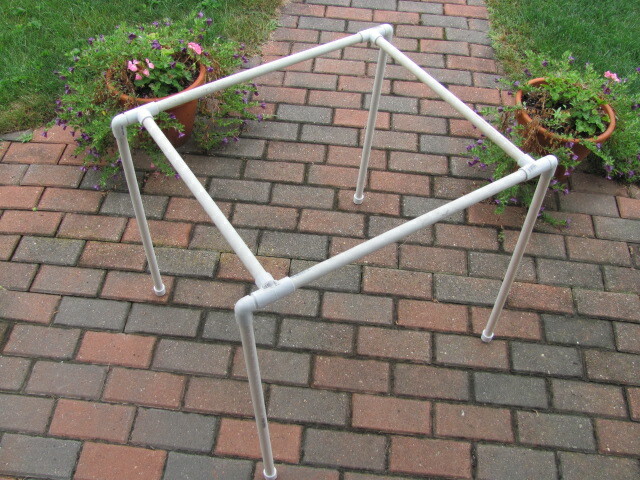 With all 4 legs attached to the frame assembly, the tent is complete. I place the tent on a card table because it’s a good height for me. I have a large piece of fabric that’s gray and feels like material used to make “T” shirts. 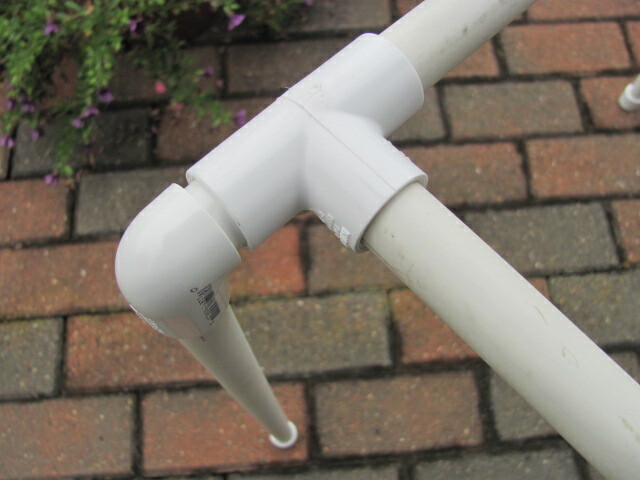 I drape this over the back pipe of the frame so it forms a smooth curve out to the front legs. The color is important so you have a neutral background. 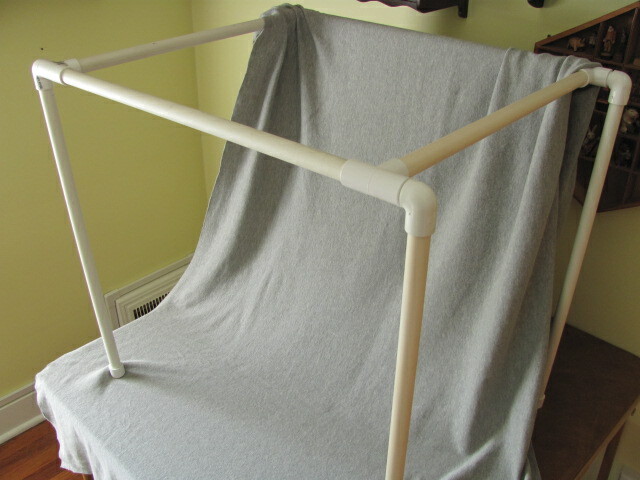 The next step is to drape a white sheet over the sides and back of the tent and the gray fabric. I position fluorescent lights to the left a right of the outside of the tent so the light shines through the sheet. You will notice a piece of white paper inside the tent. My camera has a White Balance feature so I always set the white balance to get the most accurate colors. I like to take pictures at night so the sunlight does not change the white balance on partly cloudy days. As you can also see in the photo above, I use a tripod to hold my camera. The camera I use is a Canon model SX120is. It’s Macro feature is also very useful for small pieces and close-up shots of details.